Chris McNutt is a liberty-minded, conservative activist, consultant, and political professional from Dallas, TX. His wife, Murphy, is from Richardson, where they now both reside in The Reservation neighborhood. 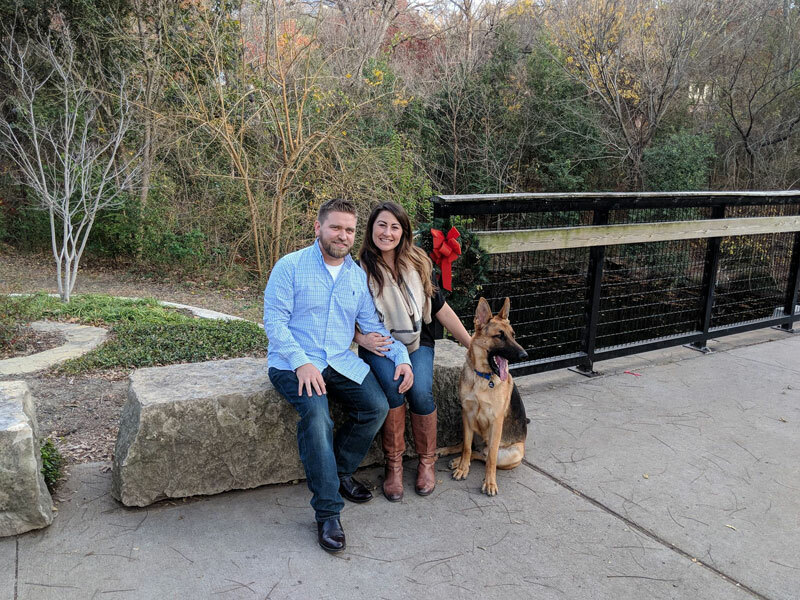 Murphy and Chris both attend Watermark Church and have a German Shepherd dog, named Gunner. Growing up in a conservative household, Chris was taught the importance of family values, and the value of hard work. He obtained his first job at age 16 as a bus-boy in a hotel restaurant. He worked his way up to cashier, then to banquets, and eventually moved to the guest services department, where he later became manager on duty for the 250-room property by age 19. At age 20, Chris decided to start his own business within the music industry while living in Houston. What initially began as a small music-promotions company eventually grew into a brand of websites that garnered over 70 million visits. With Trill Promotions Group, LLC, Chris managed to forge relationships with many top music labels and artists in the music industry, such as Sony Music Group, Warner Brothers Records, and Atlantic Records, among others. As a business owner, Chris experienced the bureaucratic red-tape of big government. In 2009, Chris realized the promises of President Obama’s “hope and change” were bad for the country. His continuation of George W. Bush’s failed nation-building policies continued and, once “Obamacare” was enacted into law, Chris’s health-insurance premium as a small-business owner nearly tripled. That’s when Chris became encouraged to get involved in politics. After moving back to Dallas in 2011, he became a Precinct Chair in the Dallas County Republican Party and became active in many clubs around the Dallas Fort-Worth area, serving as First Vice President of the Southwest Dallas County Republican Club in 2014, and taking leadership roles at the Republican Party Senate District and State Conventions as a Chairman of the Rules Committee. Chris has volunteered and worked on many political campaigns from city council races to U.S. Senate races. Chris also briefly worked for Americans For Prosperity and also the office of State Senator Don Huffines, as Deputy District Director. Chris founded his own political consulting firm in 2016, Liberty Methods LLC., which helped the winning efforts of multiple campaigns at the local and state level, including State Representative’s Matt Rinaldi and Jonathan Stickland. Chris currently serves as the South Central Regional Director for the National Association for Gun Rights and the Executive Director for their state affiliate, Texas Gun Rights. To contact Chris McNutt, you can e-mail him at chris@mcnuttfortexas.com or chrism@txgunrights.org. He may also be reached by phone at 972-638-7314.